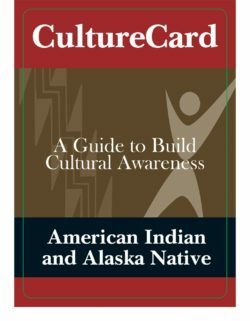 The purpose of this guide is to provide basic information for Federal disaster responders and other service providers who may be deployed or otherwise assigned to provide or coordinate services in American Indian/Alaska Native (AI/AN) communities. This guide is intended to serve as a general briefing to enhance cultural competence while providing services to AI/AN communities. (Cultural competence is defined as the ability to function effectively in the context of cultural differences.) A more specific orientation or training should be provided by a member of the particular AI/AN community.